What Types of Window Repair are Available in Northbrook, IL? If a window breaks in your home, you need to face some decisions. What is the best type of repair for the situation? There isn’t always a black-and-white answer. The suggested repair could depend on the type of damage the window sustained. With any damage, the best thing to do is talk to a window repair expert for more information. Here at Scientific Home Services Ltd, we provide full-service repairs and installations to help with anything that you need in your home or office. Our service areas include Northbrook, IL, and the surrounding neighborhoods. When you contact our team, we will schedule a time to come to your home to see the damage. This inspection allows us to make suggestions about the best repair solutions to maximize the quality of your window in order to protect your home. New Glass: When a glass pane breaks, usually the best solution is to install a new piece of glass. It is important to understand the danger that broken glass could cause your family. Even if the window is staying in place despite the crack, it is essential to take action as soon as possible to prevent injury. Mold Prevention: Does your window leak or build up condensation inside? These problems might seem minor, but they can lead to serious long-term damage. When water is sitting on the wood window sill or frame, it could cause water damage and even mold growth. Neglecting the replacement of your window could result in thousands of dollars of repair work if the mold spreads to other parts of your home! Restoring an Old Home: Old homes offer a unique character and design style for your family. Often these properties are in need of repair work. If you have an old home, you should consider the benefits of proactive window repair to avoid damage in the future. The old windows can be replaced with new materials that mimic the original design style. As a result, you can maintain the overall appearance of the home and enjoy modern features at the same time. Gaps in the Frames: Check your windows and doors to see if there are gaps around the edges. Over time, it is possible that frames can warp or break, causing small gaps to appear. These spaces bring in the cold temperatures from outside, which has a negative impact on the energy efficiency of your home. Fill in the gaps by sealing the edges or adding weather stripping. Energy Efficiency: Repairing your windows is an important way to manage the energy efficiency in your home. If you have inefficient windows, it means that you are spending more than you need to on your monthly utility costs. 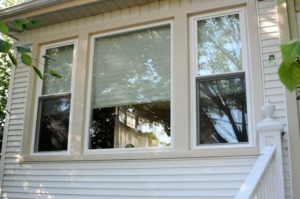 Make the investment to improve the quality of your windows right now, and you will be able to enjoy the long-term benefits of reduced monthly utility costs. Repairing the Screens: Check the quality of your screens before you open the windows. Screens often break before the windows have problems. As a result, you might consider replacing or repairing the screens while leaving the windows alone. High-quality screens keep the bugs out when you want to let a warm breeze into your home. Do you need any of these window repair services? Talk to one of our team members to learn more about the best solutions to improve the quality of your home. Now that you understand the options available for window repair, the next step is to schedule an appointment to learn more about your individual situation. Here at Scientific Home Services Ltd, we are dedicated to your satisfaction. We will gladly schedule a time to come to your home to complete an inspection. Then, we can make recommendations about the best solution to improve the quality of your windows. We are a family-owned company that has been in the window business since 1928. You can rest assured that you will always receive quality materials and services from our team! Our employees have an average of over ten years of experience with our company. We never hire contractors or cheap temp workers. Instead, we focus on quality to ensure that you get the best service possible. 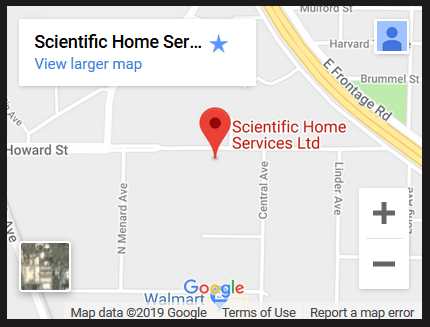 As you learn more about Scientific Home Services Ltd, you will see that we have an excellent reputation in Northbrook, IL, and the surrounding areas. We have worked hard to be sure that our customers are satisfied with the services we offer. For more information, come to our showroom at 5639 W Howard St, Niles, IL 60714. You can stop by during regular business hours. Or, you are welcome to call our office to setup a time for an inspection and estimate for your window repair needs: (847) 752-0370.